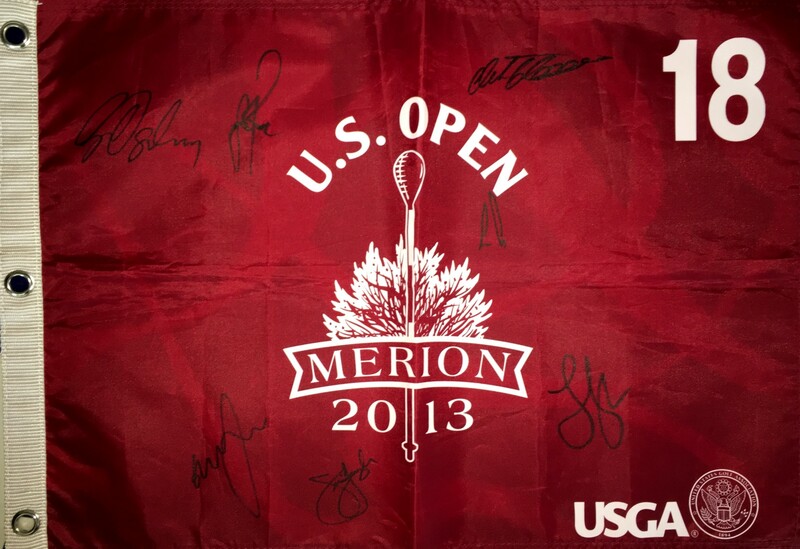 2013 U.S. Open red screenprinted golf pin flag autographed by Justin Rose, who captured his first major title at Merion, plus previous U.S. Open winners Ernie Els, Jim Furyk, Lucas Glover, Retief Goosen, Graeme McDowell and Geoff Ogilvy. 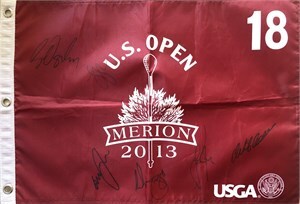 Obtained in person at Southern California PGA Tour events. NOTE: flag has numerous handling folds and wrinkles. With certificate of authenticity from from AutographsForSale.com. ONLY 4 AVAILABLE FOR SALE.